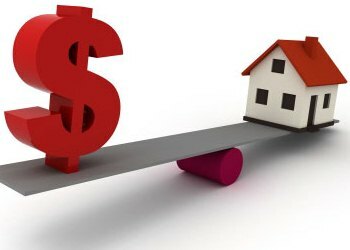 A recent CIBC survey showing the average homeowner expects to take an extra two years to pay off mortgage debt is the direct result of unfettered access for unsecured credit, say brokers, renewing calls for government action. The survey suggests half of Canadians feel that their debt from credit cards and lines of credit were hindering their ability to pay down their mortgages – expecting to be mortgage free not until they are age 57. Only 11 per cent of those surveyed who said they have taken on additional debt since buying a home were able to make an extra payment on their mortgage in 2012, compared to 19 per cent who were able to make a lump-sum payment without taking on more unsecured debt. By region, British Columbians topped out with citizens expecting to not see their mortgage paid off until age 59, followed by Manitoba and Saskatchewan at age 58. An easy way for the Federal Government to haul in unsecured credit card debt would be to progressively increase the minimum monthly payment required on these debt instruments. Instead of interest only or 1% minimum monthly payments, phase in 3% minimum monthly payments over a 2 year period (for example a 1/4% increase to the minimum payment every 3 months). As people begin to realize the actual cash flow implications to this, they may slow down their excessive use of credit. Arguably some will continue to abuse their credit by using one account to pay the other, but the majority of people will get the message that when you buy on credit, ultimately you need to pay it off. And shame on the Banks for showing available credit as part of the clients' net worth on Bank relationship statements given to their clients. It leads the client to a sense of entitlement that this is their money (aka "You are richer than you think"). Truth is credit cards will never be regulated or address because it is directly connected with consumerism. If people don't have credit to spend today, it would have a large impact on the ablity for economic growth. Second it is hugley profitable for banks. Why get 3% return when you can get 20% plus fees. I assure you no one has the will power or discipline to wait 3-5 months to actually save up for something they want or worse yet give up something they have. Freddy Mercury said it best "We want it all and we want now!!" Unsecured debt for Canadians is a huge and growing problem, and that is why we created and launched a new product designed specifically to help Brokers, helps clients reduce their debts, pay less interest, and improve cash flow.